Israel is an incredible place, full of history, layers, faith, miracles, conflict, destruction, rebuilding, ashes, beauty from ashes, holiness, and the beauty of holiness. I don’t actually know when my love for Israel and, naturally, Jerusalem began, but I find it hard not to love what you read about and gain faith in through the holy text of the scriptures. 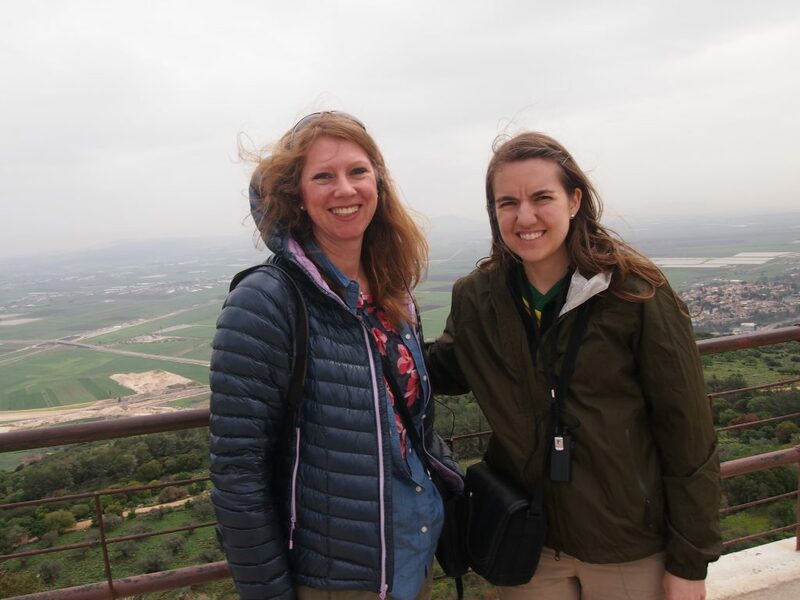 Thoughts of actually traveling to Israel likely came when learning about the BYU Jerusalem Center and when hearing from my Young Women president who traveled there. And when singing hymns and learning of the history of the world. And every Christmas and Easter as we focus on the life of Christ. It’s part of my spiritual heritage and part of my life. In high school, I chose humanities projects that focused on religious aspects, such as artifacts from the times of Abraham. And I began to learn of other cultures that have heavily influenced the Holy City and Palestine. I studied the life of Mohammed and read parts of the Qu’ran. And in college, I learned more about religions through several classes. 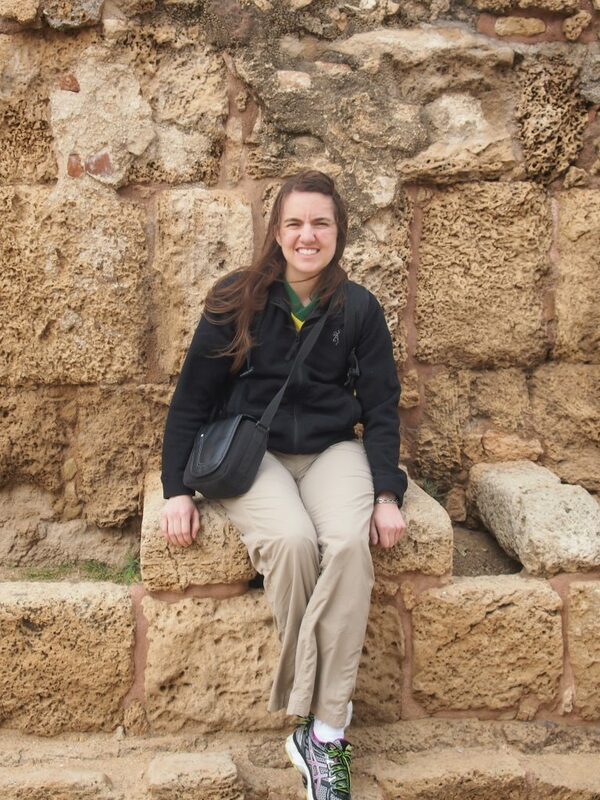 And finally an honors class called Jerusalem: The Eternal City cemented my love of and fascination for the area. But up until 6 months ago, it was not in my plans to go anytime soon. It’s not exactly the safest area in the world. And as much as I love studying things (and as much as my travels show to the contrary), traveling kind of makes me anxious. And I don’t love love Middle Eastern culture. Mostly fascinated by it. But last year as part of work, I was asked to organize the Church’s United Way Day of Caring. In taking this on, I worked with the chair of the Church’s United Way campaign, Julie, who then became a good friend. Last fall, she somewhat randomly came by my office and said, “I want to go on a trip to Israel, and you’re coming with me”. Ok, so she asked instead of demanded. Dubious at first, but more intrigued as I thought about it, within about 2-3 weeks, I was sold. We’d found a tour group recommended by one of her friends. It sounded marvelous. Two weeks in Israel and Jordan. A small tour group of about 30 people. Traveling to places that most tour groups don’t go to. Skip ahead to March 2017 where I anxiously prepared for my trip. Our tour guide was Garland Dennett, who just does independent smaller tours. He worked for the state department in Israel many years ago (at the time the BYU Jerusalem Center got approved) and has traveled back many, many times giving many tours. He knows many people there and has an understanding and love of the country, people, and history that permeated through our tour. He has also become a master of the scriptures. Where you read scriptures in my journeyings, almost all are what we read in those places, as compiled by our guide. A select few are those I chose on my own to study about the places we traveled. I share them with you to help you feel what I felt. My first leg of the flight was to NYC where I then ran into more people who were joining o ur tour. Most were from the Utah, Idaho areas, most active LDS Church members. Some were from Utah, but living in Germany (and one from Italy) and they joined us when we arrived in Tel Aviv. Some families, some couples, a handful of us singles. And off we went. 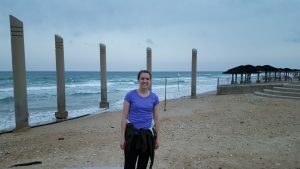 We immediately drove from Tel Aviv up north to Haifa, on the Mediterranean Sea. And then we were off. I cannot share all that I saw, heard, and felt (I have about 1000 pictures and stories from the entire Bible + the beginning of the Book of Mormon) but I hope you will get a glimpse of the wonders of Israel. 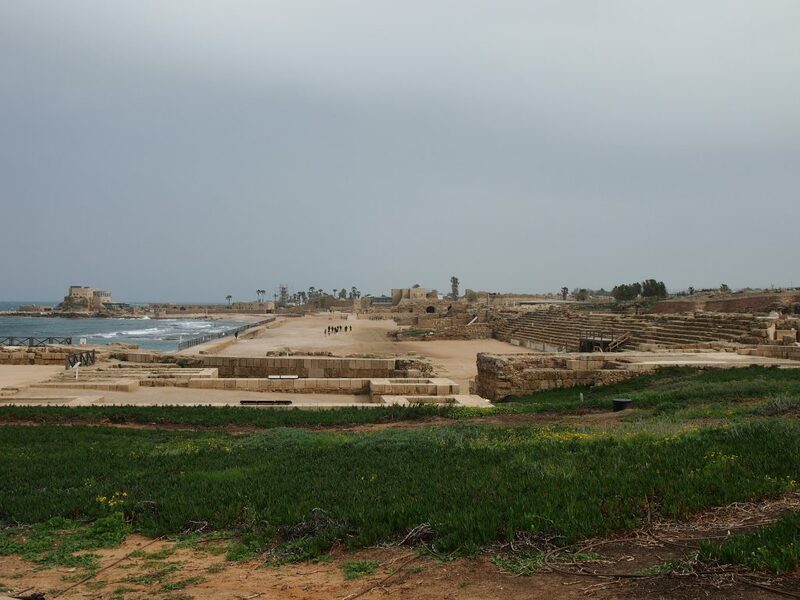 Caesarea Maritima was one of Herod’s strongholds. This place contains the first (in recorded history) use of hydraulic concrete, which cemented the walls of the breakwater. 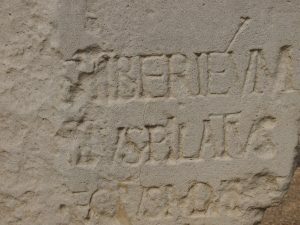 A plaque with Pontius Pilate’s name on it is found here, as this place was the seat of Roman governors. But the beautiful part of this place is the conversion of the first gentiles to the gospel. Paul must have been a miraculous teacher and testifier, as Agrippa responds, “Almost thou persuadest me to be a Christian” (Acts 26:28). From here Paul was sent to Rome for further trial. Sitting on Herod’s “royal throne”. On a completely unrelated note, I am so grateful for modern indoor plumbing. Haifa is a city of about 500,000 people with a mix of ethnicities. According our local guide, it’s one of the most peaceful cities in how the different groups get along and work together. Haifa is bordered by the Mount Carmel National Park. Of interest in the city is a little German Cemetery. 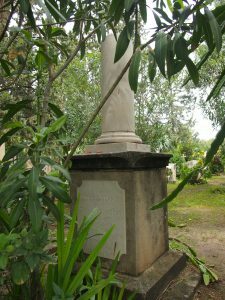 Two missionaries of The Church of Jesus Christ of Latter-day Saints are buried here. 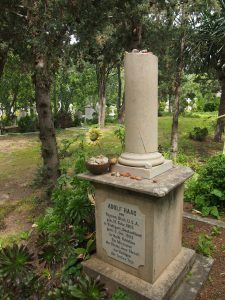 Adolf Haag was called from Germany to serve the German-speaking Christans in Haifa. He died of typhus in 1892. Later, John Clarke of Farmington, Utah, died of smallpox in 1895. He served the Arabic-speaking Christians. This surprising (to me) find reminded me even more of the long-time interest we have held in Palestine. These graves helped show the Church’s early presence in Palestine when looking to build the BYU Jerusalem Center many years later. 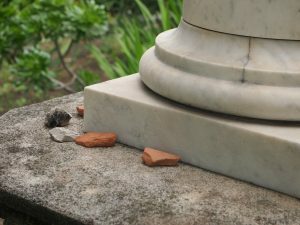 It is a Jewish tradition to place stones on a grave when you visit. 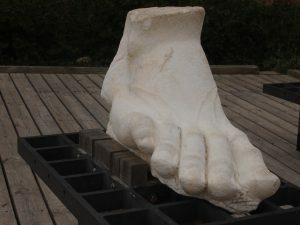 It shows a sign of remembrance. I love this tradition. 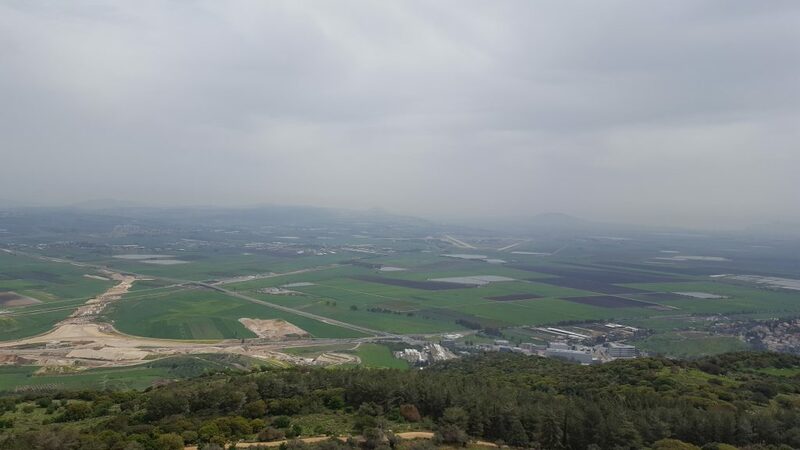 The Mount Carmel National Park extends from Haifa inland and overlooks the Jezreel Valley. The park is so beautiful and peaceful. I was surprised overall at how beautiful Israel was, considering it is a desert-y area. We’ll get to the barren desert wastelands, but March is a beautiful time to visit because everything that could ever be green, is green. Muhraqa is a Catholic Monastery that is built on Mount Carmel, with several indications that it is really the Mount Carmel of the Bible. Here Elijah contended with the priests of Baal. I have heard this story for so many years in seminary, institute, and gospel doctrine. But I suddenly connected the story in a way I hadn’t before. 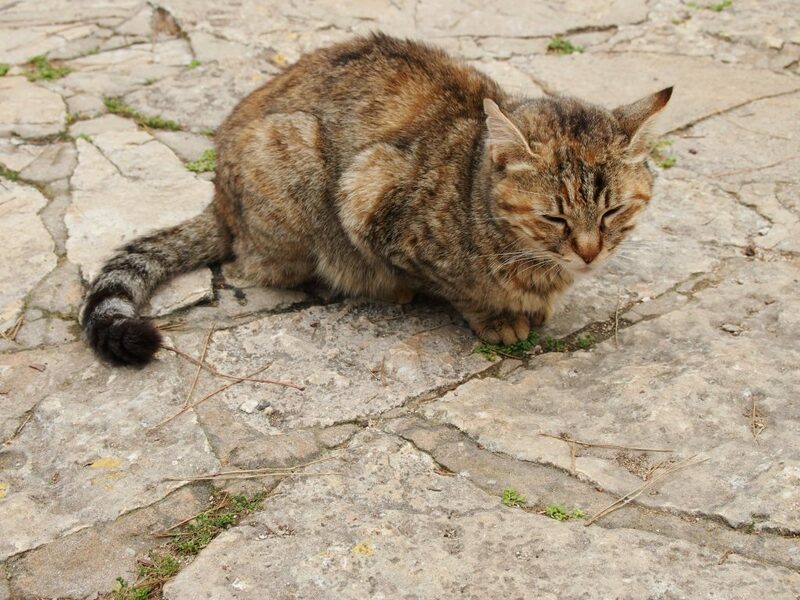 I was so moved, that I spent some time walking alone through the gardens of the monastery to further contemplate. This was something that continued throughout my trip, and provided some of the most sacred moments as I learned to feast on the words of the scriptures. Overlooking the Jezreel Valley, Israel’s breadbasket. The Jezreel Valley houses the city of Megiddo, where many battles occurred in the Old Testament. A great and final conflict will occur here in the last days: the battle of Armageddon. It made me sad to think this beautiful valley would be the site of such a battle. I’ve heard this scripture so many times in reference to how the Spirit speaks. But here, on Mount Carmel, I read this scripture in the understanding of a prophet of God who was suffering because of the wickedness of the people. And how did the Lord reach out to him? A still, small voice. That is where He is. He cares about the sad, the discouraged, and the lonely. 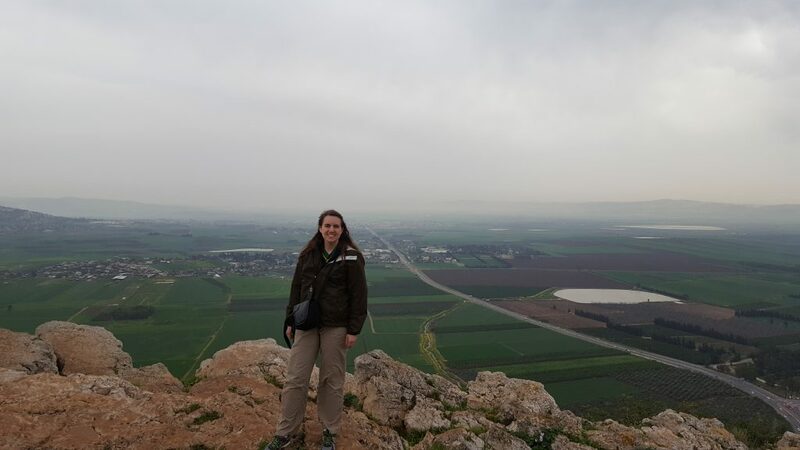 Julie and I are standing at the Muhraqa overlook on Mount Carmel. From Mount Carmel, we drove to the city of Nazareth, which is an Arab city. Not much really resembles anything of what it would have been like at the time of Christ, as you would expect. 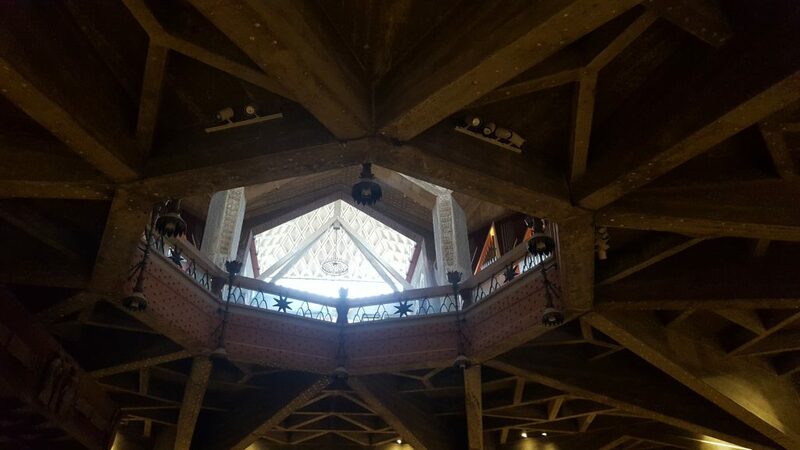 The Church of the Annunciation is built over some of the ruins of ancient Nazareth. The town would have been about 400 people at the time of the annunciation. Excavations of the small town of Nazareth circa the time of Christ’s birth. The first of many sheepies. 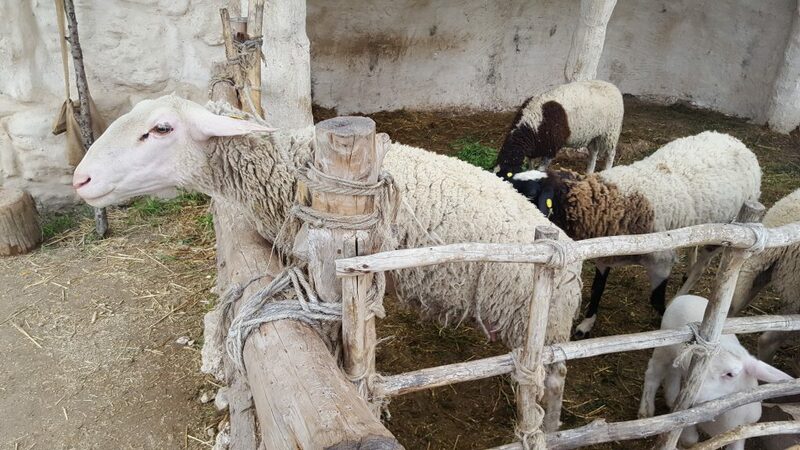 We visited Nazareth Village, a tourist place much like This is the Place State Park that attempts to show life at the time of Christ. Here in Nazareth was where an angel announced that the long-foretold Messiah would come “He shall be great, and shall be called Son of the Highest” (Luke 1:32) and where Mary proclaimed “Behold the handmaid of the Lord” (Luke 1:38). 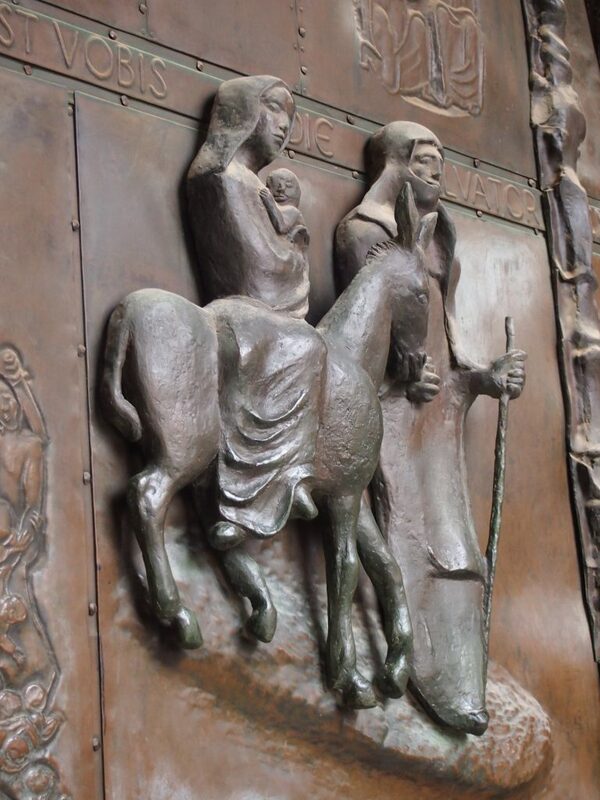 From Nazareth, Joseph and Mary left to Bethlehem and returned to permanently after they had gone to Egypt and the Lord told them it was safe to return. 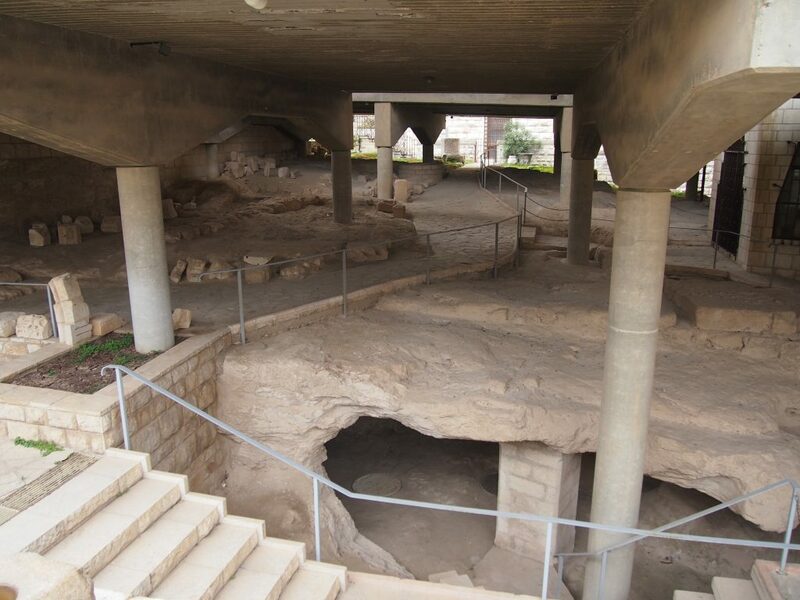 Here in Nazareth was where Jesus learned the law and the prophets. Here in Nazareth is where he “grew, and waxed strong in spirit, filled with wisdom: and the grace of God was upon him” (Luke 2:40) and “increased in wisdom and stature, and in favour with God and man” (Luke 2:52). Here in Nazareth, “his mother kept all these sayings in her heart” (Luke 2:51). And here, in the synagogue, Christ revealed His mission of accomplishing the Atonement, by reading from the book of Isaiah (and I bring in Isaiah’s words because they are more complete). “The Spirit of the Lord God is upon me; because the Lord hath anointed me to preach good tidings unto the meek; he hath sent me to bind up the brokenhearted, to proclaim liberty to the captives, and the opening of the prison to them that are bound; To proclaim the acceptable year of the Lord, and the day of vengeance of our God; to comfort all that mourn; To appoint unto them that mourn in Zion, to give unto them beauty for ashes, the oil of joy for mourning, the garment of praise for the spirit of heaviness, the planting of the Lord, that he might be glorified” (Isaiah 61:1-3). “This day is this scripture fulfilled in your ears” (Luke 4: 21). 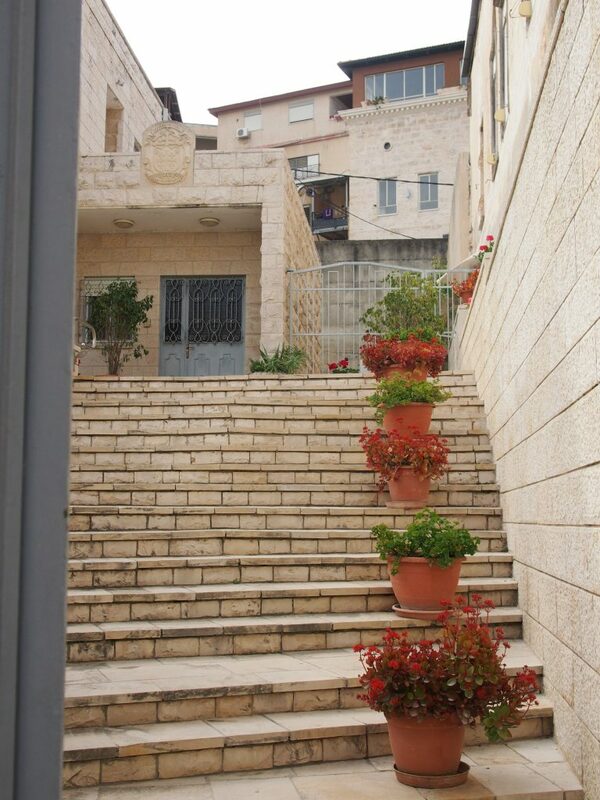 A pretty little neighborhood street in Nazareth. 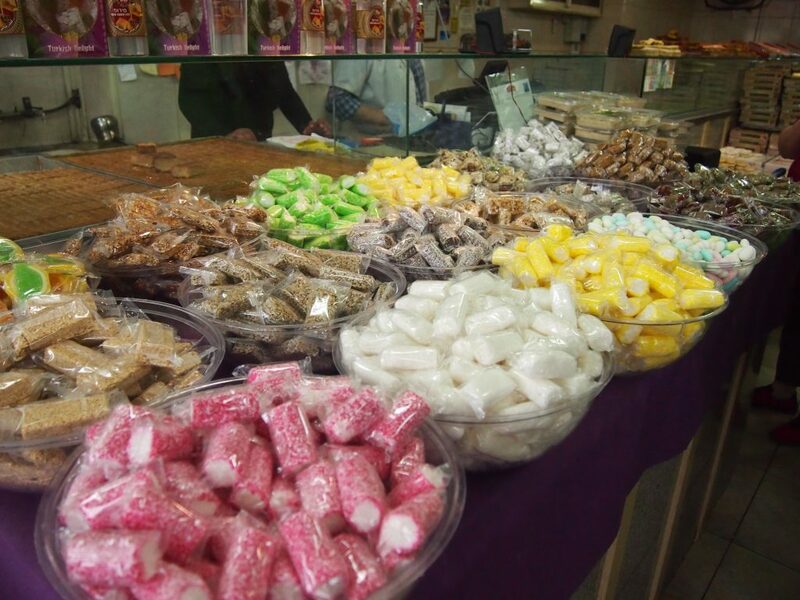 Sweets at a sweet shop where we got delicious baklava…the first of many that I ate. 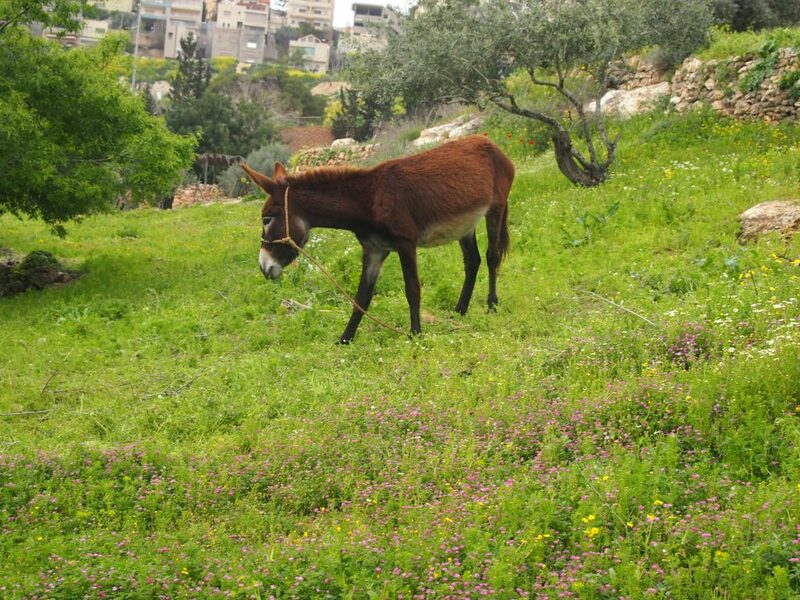 I just liked this donkey in Nazareth Village. Thank you for sharing – this made for a wonderful morning of gospel study. The donkey in Nazareth just likes you too! He told me! And so does the cat. Lucky you!